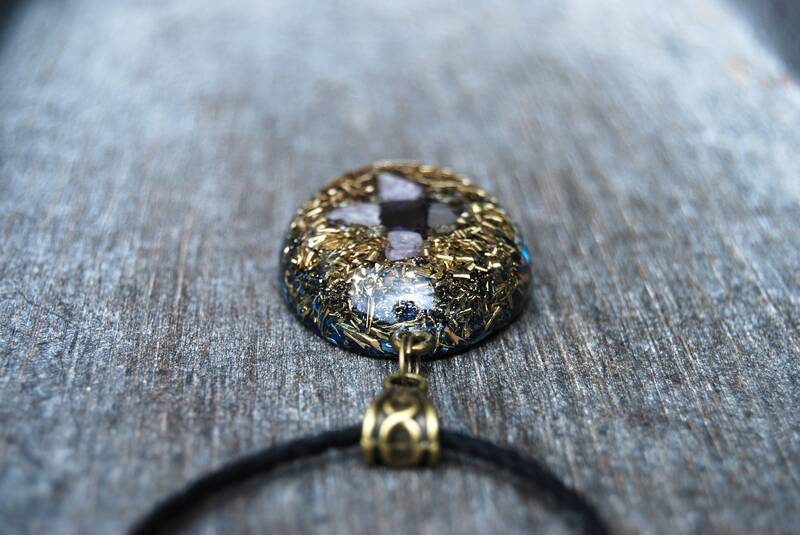 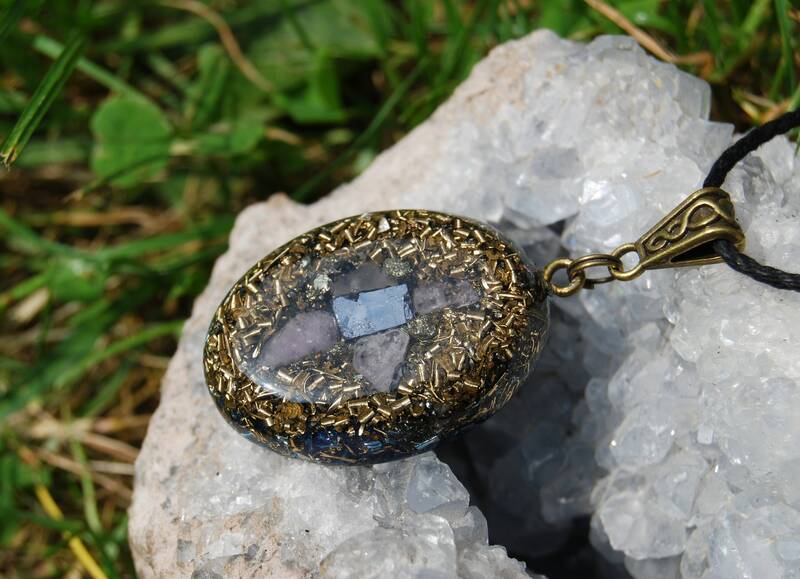 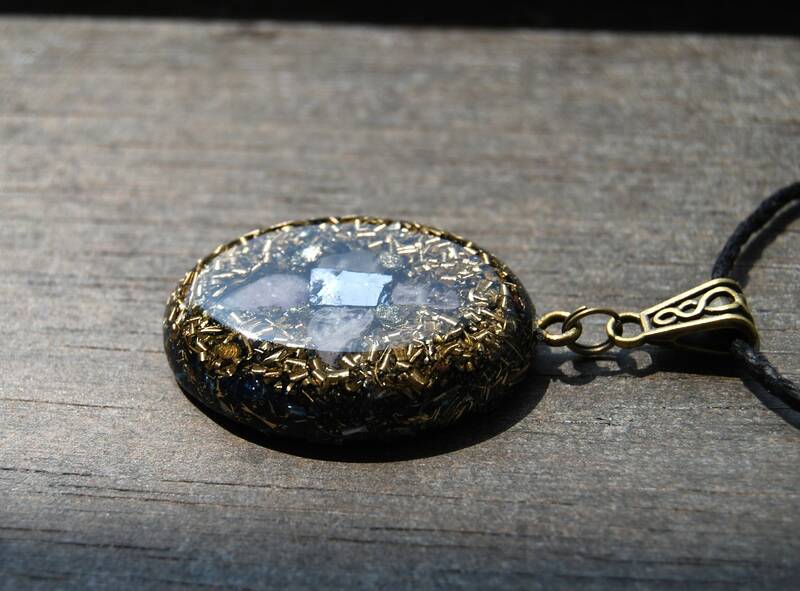 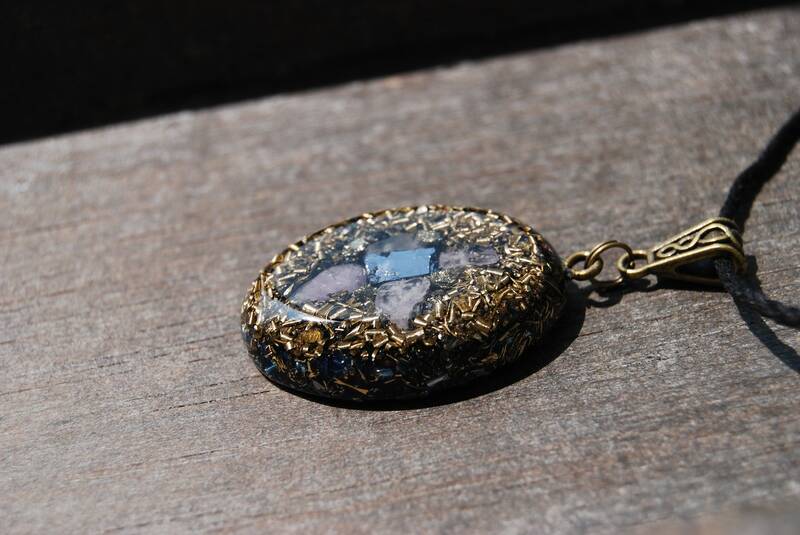 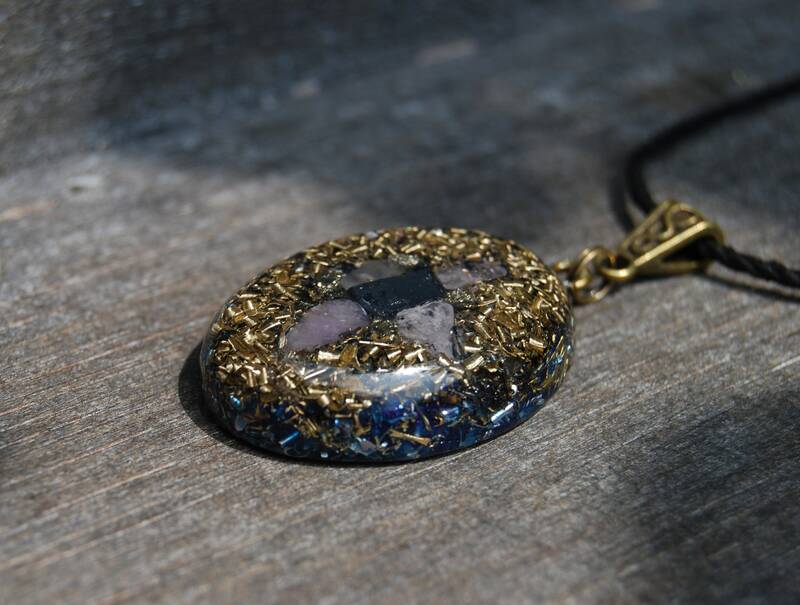 This lovely Orgonite® pendant contains aluminium, bronze, brass and copper shavings. 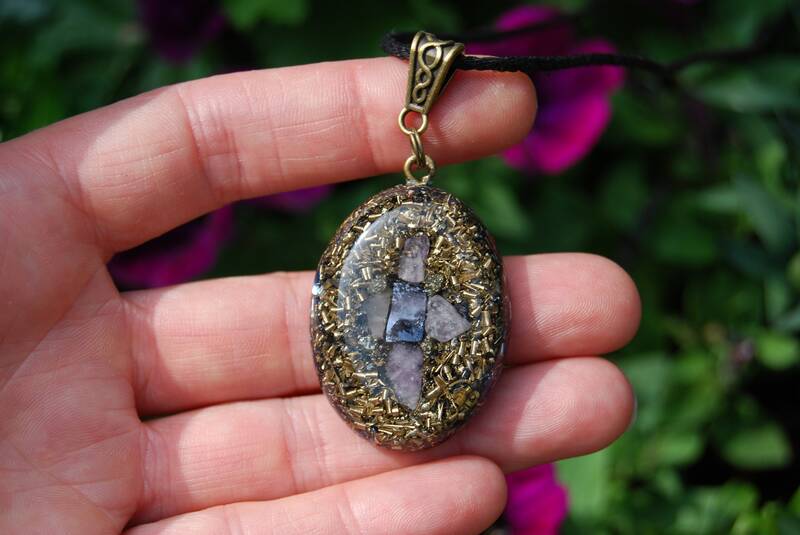 It also contains Galena (front middle), Cape (Lavender) Amethyst (front - for piezo-oelectric effect), Pyrite (front- to enhance), black Tourmaline (to protect and ground excess energy), Rhodizite (to enhance) all within a durable resin setting. 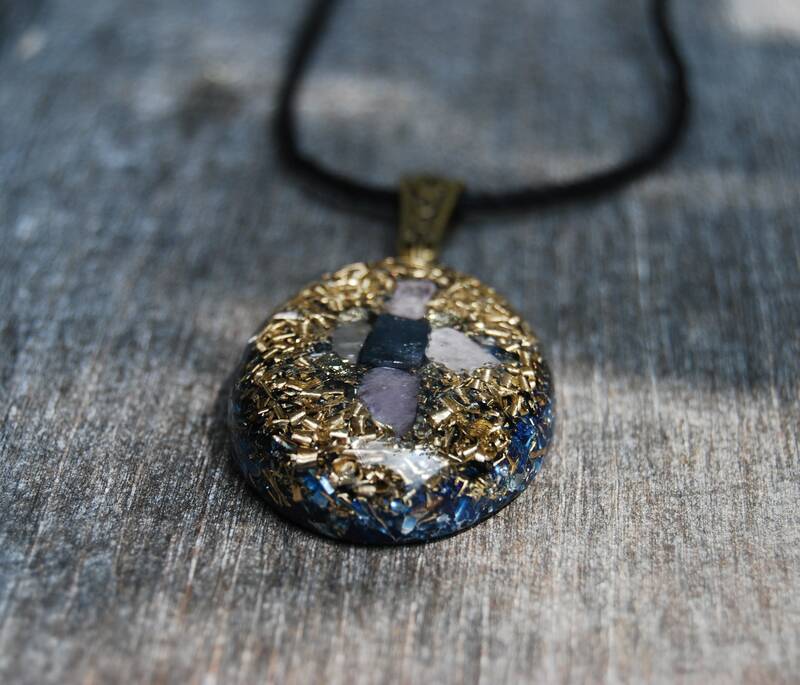 Cape Amethyst is actually a fusion of Amethyst and Milky Quartz, hence its lighter colored aesthetic. 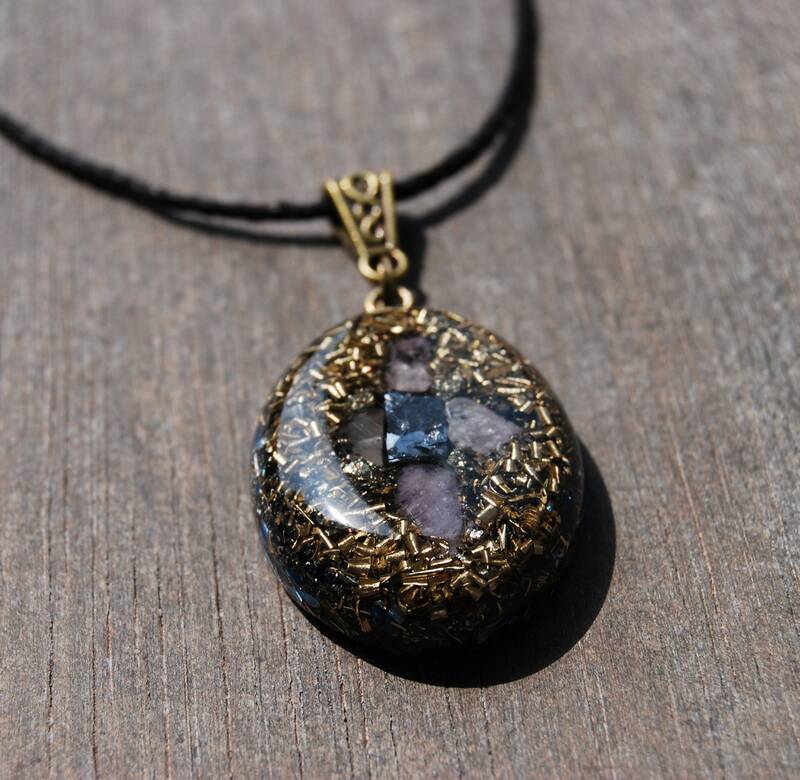 It has the same properties as Amethyst.